Reflections and Ruminations: Stopping going to church mainly because we are getting nothing out of it may indicate that we have missed the point of our faith. Stopping going to church mainly because we are getting nothing out of it may indicate that we have missed the point of our faith. In the course of my encounters with friends and parishioners in general, one of the very common laments I get is that some of them have friends or family members who have stopped going to church on a regular basis. Some Catholic parents here in Singapore have had children who had gone overseas for their education, and after having spent a couple or more years overseas on their own, stopped going to Sunday Mass. One of the more common reasons given is that the Masses there do not ‘do’ anything for them. Apparently, the homilies given at some churches overseas are “simply not appealing”. Let me begin by saying that I understand where this is coming from. It is predicated on the way that the world works, where things are good and pursued in life based on the fundamental importance that it has to benefit me. In the realm of the spiritual life, it’s like a person who says about meditation “ok, I’ll try it and I’ll see if there’s anything in it for me.” Most, if not all people will take this approach in their choice of career or jobs. There’s nothing pointedly wrong about this and I do believe that if there is drudgery in one’s job or activity, sooner or later, one will begin looking askance at why one is doing it at all. The problem begins when one takes this dictum into the life of faith and the practice of religion. Mass and worship is fundamentally not predicated on our preferences and ourselves. When we go to church, we worship and we pray not for ourselves principally, but for God. God and his sovereignty has to be the rationale for our worship simply because we believe that he has made all things possible, and continues to make all things possible. To put it crudely, it matters not one bit if we get anything out of it. We make a decision to worship and pray to God and that in and of itself makes the entire act valuable because it is a decision to love. Let me explain - There are many married couples in the world that have not had any good ‘feelings’ in their married life, and have stayed in the marriage out of a choice. They base their fidelity to marriage on a choice that they make, on a decision to love, rather than on the good feelings and sentiments that are strong in courtship and the early period of marital life. The promise to love “in good times AND in bad” is predicated on this decision to love. Their decision to love despite the feelings and sentiments raises the value of their marital love to a level that is much higher than merely a response to something that benefits them individually. 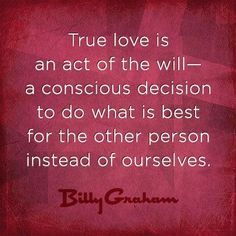 A choice to love thus is value adding. Now take this to our practice of religion and worship. They share a similar reasoning and credo. Too many of our life’s problems stem from an over emphasis on the demands made by the self. They often stress on one’s personal rights and some form of self-promotion. Whence do we find the panacea to this disease that plagues humanity right down to its core? The Christian response to this question is the practice of dying to the self. If we understand this in a healthy way, worshipping well does benefit us in the end. Theologically, we say that God is perfect, and this means that nothing we can do adds to God’s perfection. Our worshipping him does not ‘benefit’ him per se, but as the Eucharistic Preface IV states, “Our prayer of thanksgiving adds nothing to your greatness, but makes us grow in your grace” – meaning that all goodness that we give to God redounds back to us. So, even if we think that “we get nothing out of Mass”, we are sadly mistaken. Even in a passive way, it does benefit us tremendously. But if we are fully aware and conscious of our acts in worship, the value becomes infinitely greater. Undoubtedly, we get our direction and example par excellence of selflessness in Jesus Christ himself who lived a fully selfless and others-centered life. It is when we really understand this that we will worship and pray with the right motivation and intention, no longer just for ourselves and what we are able to get out of it. When worshipping for God’s sake becomes the main reason for our religious practices, we learn to tame the ego and slowly become less filled with a sense of self-importance. When the individual becomes convinced that selflessness is the seedbed of real harmony and peaceful living, it makes real the last line of the song “Let there be peace on earth” where it ends with “and let it begin with me”. Many resolutions would have been made as we crossed over into 2017. Would worshipping well be on any of your lists? I had a different experience when I was in the US many years ago and attended Mass at a Newman Centre on campus. It's like a parish just for youths. The Mass there was always engaging and youth led(read good singing) but more importantly, the homilies were thought provoking and at times even kept me up tossing in bed thinking about them. Since I returned, I never let the issue of bad homilies bother me. In this internet age, there are tonnes of resources out there.Bad homilies are not an excuse to not go for Mass. Its akin to getting a teacher who is good in a subject but unable to teach and engage his students well in the classroom.Do you then give up learning and fail the exam? To young people in the States, go find a Newman Centre! To others, while you cannot solve issues like bad choir singing, there is always the internet for bad homilies. Lastly, I am not sure if this is theologically correct but I think the more "painful" the Mass is to attend in a human sense, the more our worship is pleasing to God if we actually focus on growing our faith on not on how engaging the Mass is. Thank you so much for your comment and response. Though I do like very much your thoughts that "the more painful the Mass, the more our worship is pleasing to God", I'm afraid that many will only read that as some form of spiritual masochism. But I do know where you are coming from. I do not think it is theologically nor spiritually unsound. There is an unmistakable appreciation in the formation of a disciplined soul here. Thanks for your kind words. I am just an easily distracted person with the attention span of a housefly. This is just one of the strategies I use to keep myself motivated to attend Mass and stay focused while I am there. Another strategy I use is to see the Mass as Jesus's last wish before He died. Besides asking St John to look after Mother Mary, I believe this was the only other request He made before He died on Calvary. So whenever I feel like skipping Mass, I tell myself my best friend died and he asked that I do this every week to remember his death. Yet another strategy I use is tell myself it's like taking medication. We are all wounded souls in need of healing and like most medications, you need to take it regularly for some time before it's effects are felt.Missing doses is going to affect it's efficacy. Like all things in life that are repetitive, the Mass can often times feel very dry. Unless there is a Vatican III with another major overhaul of the way Mass is celebrated, we will just have to accept it as it is in faith despite what we think or feel about it. Just my two cents worth. Hope it helps your readers out there. It is so refreshing to hear the call to worship & pray to God for God's sake. Yesterday at Sunday mass, we were reminded that – this should be the first of our New Year resolutions ( if we are making them) - for the homilist reminded us -that's why we are Christians. We must want to praise & worship the God who is everything to us.....the Meaning for our being. "Eucharistic Preface IV states, “Our prayer of thanksgiving adds nothing to your greatness, but makes us grow in your grace” –and your subsequent expansion of this point. It reminds me of the story of a disciple- seeking God/enlightenment - from a meditation master. He was told to walk up a slope at sun rise each day to where a huge boulder was partially embedded and try to move it. Eager to attain "success" the disciple obediently put his shoulders to the boulder and tried to rock it - but to no avail. Each time he went back to his master he complained that the task was beyond him but the master just repeated the same order. Finally after two years, feeling an abject failure, he decided to take leave of his master. It was then that the master told him to take a good look at himself. When he arrived, he had been a shrimp of a man but now he had a healthy tan & his arms revealed rippling muscles. What was more astonishing and wonderful was that ....un-noticed, he had grown in humility, obedience & perseverance- for he had unquestionably stuck to the given task for so long......he has thus grown in virtue or grace. I worry about my daughter who is studying in the UK. She attends mass (she says she does, and we remind her to every week) but tends to go for the shortest possible. It is quite amazing - morning mass is done in 32 minutes on a normal sunday, and Christmas vigil with a full crowd was done in under 50 minutes!! We can barely hear what the priest is preaching as most of it comes across as mumbles, esp at that speed it is done. Those by the Catholic society on campus, tend to be more long drawn as there is fellowship thereafter. Unfortunately she doesnt enjoy those as she is quite an introvert. I pray that her time with the Lord is just for her to "keep-in touch" with Him. What else do you recommend we do to encourage her to spend more time with the Lord. "Some Catholic parents here in Singapore have had children who had gone overseas for their education, and after having spent a couple or more years overseas on their own, stopped going to Sunday Mass." To parents who are planning to send their students overseas: It may be good that you do some research. Some secular universities do have a vibrant Catholic community. I knew of a couple who enrolled her daughter into UWA and into St Thomas More College (a hostel) because there was Catholic Chapel within the campus. When I was in Perth, I went for mass at the Chapel. I was pleasantly surprised. It had a wonderful community. The whole church sang with the choir made up almost all by local and overseas students. I believed they all did not need their parents to remind them to go to church. What is my point? Parents should perhaps do their homework before sending their children overseas. It has been 2 and a half years with a debilitating illness that no doctor or specialist has seem to be able to understand much less find a cause of it. Like many others who are hurting, ill, and a massive burden to their parents like myself, I don't understand how a loving God (as everyone claims) could allow this to happen. To further shrink whatever little faith I think I actually have, my younger sister has stopped going to mass and my friend took her life in Jan 2016. I have been questioning the word love. To God and from God. As I sat here tonight contemplating ending my life too, I somehow opened my bookmarked pages and ended up at your blog. Somehow so many things seemed to speak to me. Like my heart is beginning to understand something, but I can't quite put my finger on what it is yet. 'Love' maybe? Very foreign. But something is stirring, both heart and mind. Thank you for taking the time to post this. Tonight, God has yet again worked through you. 'A choice to love thus is value adding.' This is the greatness of love I guess. I have yet to understand it fully. Thank you for your courage in writing your thoughts, comments and concerns. It is never easy to understand love as Jesus lived and taught it, mainly because we human beings are somehow hardwired to live with the pleasure principle. This principle sees us wanting comfort, ease, a life that has little or no burdens and sufferings. While it is not wrong to want these things in themselves, if we define happiness or goodness only in terms of not having these in life, we set ourselves up for failure, especially failure to understand and imbibe the values of the gospel which remind us that in being disciples of Christ, there is an unequivocal call to take up our crosses and follow Jesus. That God is love does not negate that life has pain. Pain is, unfortunately, a non-negotiable in life. But we do have a choice of whether or not we see it as suffering. Suffering is an attitude. If we take our pains and are able to see them in the light of the cross that Jesus carried and was nailed to, and place it there with his redeeming love, it turns pain to purpose. There is a redemptive value it in which is beyond logic. Our pain then has a value that isn't self-obsessed and inward looking, but has an outward orientation that continues the salvific power of the Cross. And this can only be made possible because of love - the love that we have for others, for God and the love that God has for us. May God continue to abide in you and in your illness, and God-willing, may he heal you of your afflictions and show his merciful face to you.